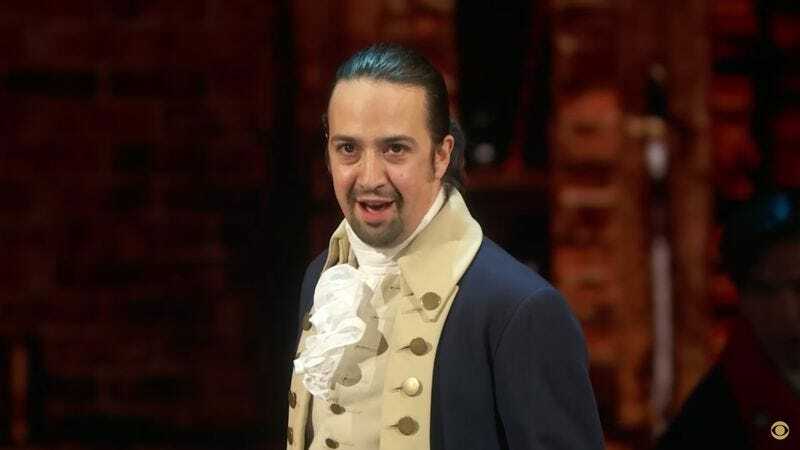 Twenty years ago, Lin-Manuel Miranda was not the Grammy-winning, Tony-winning toast of Broadway. He hadn’t performed for President Obama. He hadn’t created one of the most popular musicals in decades, the one whose influence and popularity has spread far beyond the Great White Way. He was just a high school kid in Manhattan who was stuck for an idea for his term paper in history class. Luckily, his teacher Irv Steinfink had an intriguing possibility: Why not write about the duel between Alexander Hamilton and Aaron Burr? And that was the humble historical acorn from which a mighty musical oak grew. Newsweek’s Zach Schonfeld tracked down the now-retired Steinfink, and to his credit, the teacher is modest about his role in the Hamilton success story. Not surprisingly, the saga of this nation’s first treasury secretary was one that had entranced Steinfink himself during his days as a graduate student. Thumbing through documents signed by Hamilton, Steinfink came to see the founding father as a friend and even “grieved Hamilton’s death in that duel.” Once he became a teacher, Steinfink had the opportunity to pass on his love for Hamilton to his students, including the “quiet” Miranda. The result? At first, an A+ term paper from Miranda. Then, decades later, a whole lot more. Although Miranda preferred English and communication courses to history, this was one assignment that definitely stuck. Yes, to answer a frequently asked question, Steinfink has seen and enjoyed Hamilton on Broadway. His wife got him tickets for Christmas last year. It seems like his seats should have been comped under the circumstances, but whatever. Steinfink, 72, still occasionally communicates with Miranda via Facebook, not to gloat but simply to reminisce and share additional Hamilton facts. One wonders whether Steinfink’s other students are kicking themselves for having chosen other, less interesting topics for their own term papers. Or, just maybe, Broadway should brace itself for an onslaught of historical musicals. Next stop: Button!